I strive to provide an exceptional service when I am working with parents, families and couples. These reviews serve to the level of quality and value for your investment in me as your photographer. Hearing such kind words fills me with joy, knowing that customers are happy with what I provide. Read through the client reviews below to learn about what parents and families say about working with me. Thank you again, Your absolutely brilliant at what you do and i couldnt be happier with the photos of Olivia. Will definitely be recommending you to all of my mommy friends & i look forward to having some more done when Olivia is a little older !!! I attended Tianna’s home studio for a newborn photography session in mid March. She is extremely professional and pays close attention to detail. She was very gentle and caring when handling my little one and made her feel settled and comfortable. The photographs came out beautifully it was difficult to select our favourites as they were all so good and the prints were of great quality too. Tianna did an amazing job and I was so impressed with her level of customer care and quality that I booked her again to photograph my daughter’s christening and will be utilising her services again in the future. I highly recommend Tianna - you will not be disappointed. Cannot recommend this artist enough. The whole experience was magical. Our toddler was initially shy and nervous but Tianna was really able to make him feel relaxed and confident and get some amazing shots from it. My husband and I were slightly nervous too but really needn't have been. I fell in very good hands every second, well directed and made to feel comfortable and confident. It was incredibly enjoyable and relaxed and the end result is beyond belief. Thank you. Amazing artist who made the whole family feel comfortable and confident. The experience was incredible and the memories we have to keep and display are beyond imagination. Would definitely recommend to everyone. Amazingly talented photographer, from the moment the shoot was confirmed we had such brilliant service. The utmost care was taken when Tianna worked with my baby to capture the beautiful images that she did. I would recommend and return in the future also can not thank Tianna enough for the her work & time put into these images. I booked Tianna for a maternity and newborn shoot and she didn’t disappoint. A wonderful photographer who made me feel at ease and also captured our memories perfectly. I highly recommend her for all you family needs. Very attentive to the babies making she got the best photos from the shoot. Very polite and warming to help you enjoy the experience. Would definitely recommend. My family and I loved working with Tianna. She was very welcoming when we had our shoot done and very attentive to details. She listened to what we wanted and delivered it. So easy to communicate with and very kind. The pictures were amazing. I am definitely coming back soon for another photoshoot. Keep up the amazing work darling. Tianna work is amazing I had a very grumpy 1 year old at the time of your shoot but Tianna was very patient and let my son came around when he was ready. The photos were amazing I am so greatful for the hard work Tianna dose. I will be coming back in the future for some more shoots. Thank you again for your amazing work. Tianna, you are absolutely amazing at what you do honestly. I came to Tianna for a new born shoot and as baby's do mine decided to act up! She was so calm and helpful she made me feel completely at ease and didn't make me feel at all embarrassed. But more than anything she showed a real passion for her work this isn't a pay check to her this is love! Thank you for the beautiful memories and I cannot wait to make some more with you in the very near future. I came for a shoot for my 2 year old and Tianna was amazing! She was patient, lovely and understanding, especially when my toddler refused to listen at times! Highly recommended! Must say I have been having photo shoots whilst pregnant from 26 weeks gestation and have had first class treatment every time. Tianna goes above and beyond to capture each special moment throughout my pregnancy journey. I have also had family portraits which have been spectacular. She makes the children feel at ease, welcome and does her best to get great shots. I will continue to have Tianna as my photographer to catch the moments of my family memories and newborn baby. All photos and prints have been top quality absolutely recommended. One very happy customer!! 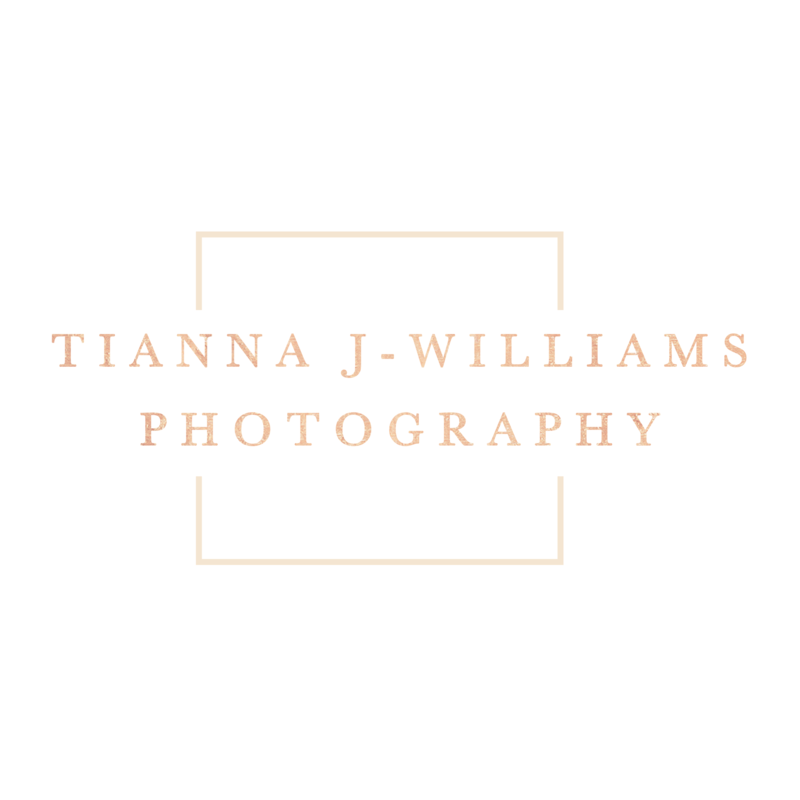 Read more client reviews and feedback here on my Facebook Page, Tianna J-Williams Photography.